The constant drive to improve productivity is a familiar tale. We’re all searching for new ways to up the speed and quality of our work, and while every creative person strives to bring brilliant ideas to life as quickly as possible, there is often a trade-off. How do you continuously innovate at speed without sacrificing quality? You want – no, need – to see your results right away so you can iterate and improve, share and review – the more you iterate, the better the quality, right? Fortunately, we now live in an age where planning, creating and delivering in real-time is a reality. This need for increased performance is compounded by the huge growth in content creation – and consumption. According to Nielsen, US Adults now spend almost 6 hours per day consuming video of some form or another (data from the first quarter of 2018). While the vast majority of this content is still found on television (either live or time-shifted), increasing amounts of video are being watched via social media, streaming and other platforms. The way we consume media is changing through technological innovations and it is driving our desire for new forms of content. In addition to a constant demand for content, we have also seen a democratization of video creation tools – everyone is now a creator and a consumer. Z by HP and AMD recognize this and are committed to providing superior Avid performance through entry-level as well as high-end hardware solutions. And far from production values declining with this democratization, the opposite is happening – the demand for quality is rising, along with the associated file size, driven by 4K, 8K, and HDR production. We only have to look at this year’s Oscar awards to see the trend for quality manifest – the 2019 Best Cinematography Oscar went to Netflix’s Roma, shot in B&W HDR. This was one of four awards for the streaming giant, which is driving much of the change within the industry. They’re setting new standards (with 4K delivery) and challenging the definition of a movie (should only theatrical releases be eligible for the Oscars?). This drive for quality and visual fidelity goes far beyond feature film. Japan is (trying) to lead the world to 8K acquisition and delivery – Super Hi-Vision as they call it. NHK has been broadcasting some 8K programming since December of last year as they gear up for the 2020 Olympic Games and Paralympic Games, and China is preparing for 8K broadcasting too. With 33 million pixels, 16x greater than HD, and with audio delivered in 22.2 multi-channel, performance solutions for acquisition, post production and delivery are key. While the majority of creatives are not working in 8K, the desire to create compelling, high quality content is still the same. Creatives need access to powerful tools that make the creative process faster, simpler and better. 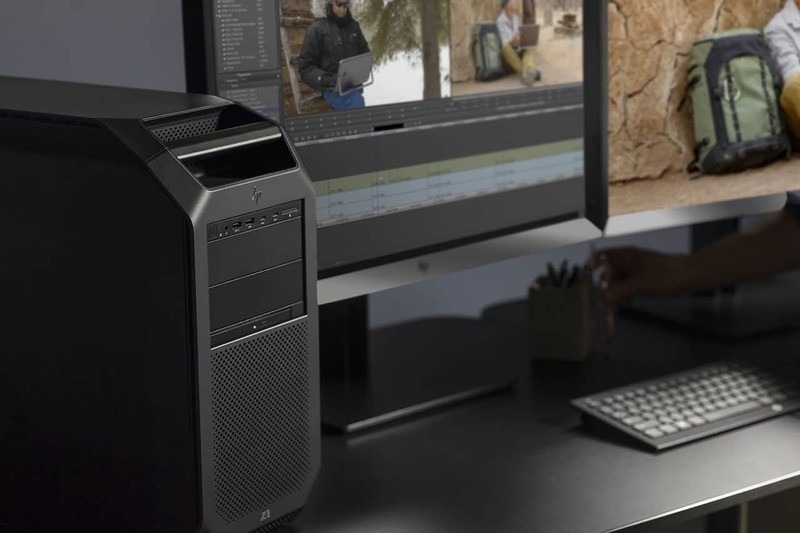 Avid, AMD and HP are each leaders in their field – combined, we offer performance solutions for every creative, whether working from the desk or on location, at a desktop or on a mobile. Avid is rightly respected for its rigorous certification process, and both HP and AMD work closely with Avid, designing and testing our products for Avid applications. This way, you can trust your tools and focus on what you are paid for – your creativity. Learn more about our partnership by visiting our booth at Avid Connect (Kiosk #17) or stopping by our NAB locations (AMD Suite #S114LMR / Z by HP # SL9724). AMD’s Dominick Spina and Z by HP’s Barbara Marshall will both be on hand – please email either of us to book a meeting. Barbara has spent 25 years in the media & entertainment industry with organizations such as the BBC, Autodesk, Epic Games and now HP. She has led marketing and PR teams both in-house and agency-side, consulted for several start-ups and was also technology editor with Broadcast Magazine in the UK. She has a strong commercial and analytical background, having started her career as a commodity analyst/trader, which is where she developed her love of champagne. Barbara holds a BSc in Agricultural Economics from University of London but prefers to eat good food rather than study its production.